Receiving the grace of God should make us respond with something so similar, so closely connected, it can be called by the same word, charis. More commonly, though, “thanks” is translated from a word made by combining “eu” and “charis.” The word eu (G2095) means “good” or “well.” Literally, the combined word means “well favored,” though we usually take the implied meaning “to be grateful” or “thankful” (Strong’s on G2170, eucharistos). Thankfulness is what happens when we are well supplied with grace. It should be our natural reaction to being blessed and highly favored by God, which all of us are if we’ve been invited to have a relationship with Him. Note that this verse says to give thanks “in” everything, not necessarily “for” everything. There will be things in our lives that we don’t feel thankful for. 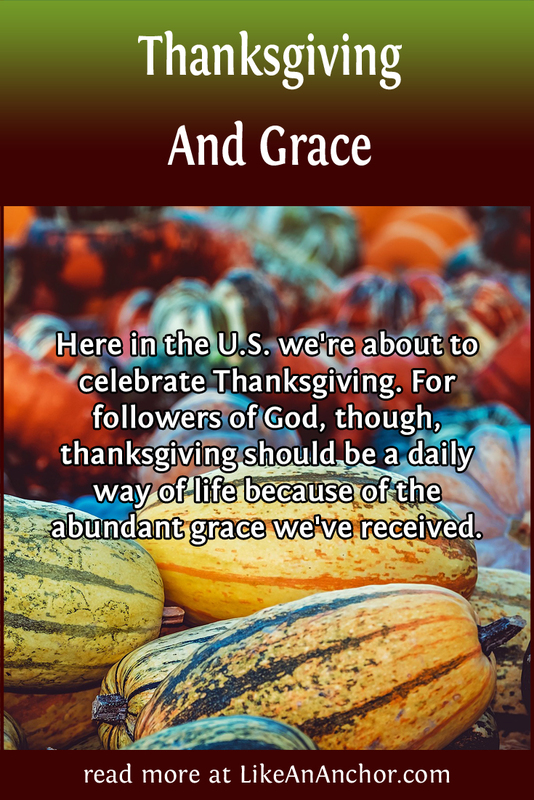 But even in those times, we should still maintain an attitude of thankfulness because of the grace God constantly shows us. Paul also demonstrates that thankfulness isn’t just about the grace shown to us. When God makes us part of His family, we become part of the church which He intends to be one body with Christ as the Head. Paul also thanks God for the Romans (Rom. 1:8), the Ephesians (Eph. 1:16-17), Philippians (Phil. 1:3-6), Colossians (Col. 1:3, 12), Thessalonians (1 Thes. 1:2; 2:13; 2 Thes. 2:13), and Philemon (Phm. 1:4). We should be thankful not just for the grace we’ve received ourselves, but also for the people who are co-recipients of that grace. Moreover, in his instructions to Timothy, Paul expands our duty of thankfulness to all people. Depending on how you translate this verse, we can be giving thanks “on behalf of” or “for the sake of” all men. Perhaps one of the things this verse is telling us is that if we have God’s character and desires (including that all people will be saved and know the truth), then we’ll be praying for and offer thanks on behalf of everyone. And that includes those who don’t even know they should have any kind of relationship with God. It seems vital that thanks be expressed by, or at least on behalf of, all people on earth. In fact, a lack of thanksgiving can be very dangerous indeed. In the first part of Romans, Paul talks about “ungodliness and unrighteousness of men who suppress the truth in unrighteousness.” They are “without excuse” for their behavior because “that which is known of God is revealed to them in creation.” They should know better than to do evil, but they do it anyway (Rom. 1:18-20). When we know that God deserves glory and thanks, yet withhold that from Him, we end up becoming futile in our reasoning with senseless, darkened hearts. Those who’ve “refused to have God in their knowledge” end up practicing things “worthy of death” (Rom. 1:28-32). Lack of thankfulness isn’t the only reason for falling into such darkness, but it is one of the reasons. We have all been “well favored” by God and supplied with abundant grace. We should overflow with thanks as a natural response, both to what God is doing for us and on behalf of all other people. Thanksgiving should be a way of life for all of us. 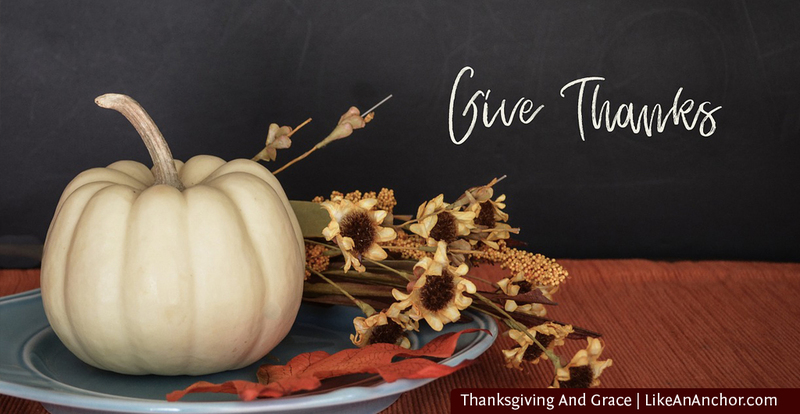 And while giving thanks is something we “need” to do, it should also be something that we want to do all the time because we know the value of God’s grace. ← What Role Does The Tertiary Function Play In Myers-Briggs® Personality Types?